Alzheimer’s is currently the sixth leading cause of death in the United States. The rate of increase in the number of seniors with Alzheimer’s leaves statisticians to believe that by the year 2050, more than 16 million adults in the United States will be living with the disease. Given the projection, researchers have been busy trying to develop new treatments, as they have made no progress in the last 15 years. However, reports in recent years indicate that a new classification of diabetes medications has proven successful in reversing memory loss. Scientists from Lancaster University in the United Kingdom found that the diabetes medication known as liraglutide showed results in restoring the memory loss of people living with Alzheimer’s and other dementia-related illnesses. Their research began by injecting Alzheimer’s-afflicted mice with the medication, which is classified as a GLP-1 receptor agonist. In addition to lowering blood sugar, the medication has the ability to pass through the blood-brain barrier where it protects the brain from the harmful proteins that cause destructive plaque accumulation. The mice chosen to receive the treatment demonstrated symptoms similar to adults in the late stages of Alzheimer’s. Following a two-month trial, the treated mice were better able to navigate their way through a maze and scored higher on recognition tests. Evaluations of the animals’ brains also indicated they had a 30 percent reduced amount of plaque buildups. Following the first promising study, the research group performed the same trial on 200 people diagnosed with Alzheimer’s. The subjects were divided into two groups. Half received liraglutide and the other half received a placebo. Once again, the participants chosen to receive the real medication showed marked cognitive enhancement. If your elderly loved one is living with Alzheimer’s and needs help managing the symptoms, turn to Home Care Assistance, a leading provider of Alzheimer’s care. Pawleys Island seniors can rely on our revolutionary Cognitive Therapeutics Method (CTM), an activities-based program that promotes cognitive health and delays the onset of Alzheimer’s disease. CTM also encourages seniors to engage with others in an enjoyable way and helps them build new routines to look forward to. The Lancaster research team recently tested a new medication known as a triple receptor drug. The formula contains three growth factors named GLP-1, GIP, and Glucagon. When tested on Alzheimer’s afflicted laboratory animals, the drug significantly increased neuron growth rate. The ability for neurons to replicate, grow, and repair is typically impaired in people with Alzheimer’s. Chronic inflammation and oxidative stress commonly associated with the disorder were also reduced. The animals once again showed amazing progress in maze navigation and other cognition tests. The group hopes to further their study by testing the formula on humans. 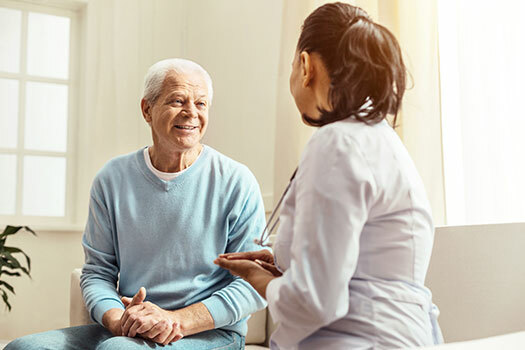 While there’s no cure for Alzheimer’s disease at present, there are a number of ways seniors can manage the symptoms of this condition and lead healthier lives. Seniors who want to remain healthy as they age can benefit in a variety of ways when they receive professional at-home care. Pawleys Island, SC, Home Care Assistance is here to help your loved one accomplish daily tasks, prevent illness, and focus on living a healthier and more fulfilling life. Diabetic seniors have a higher risk of developing Alzheimer’s. Insulin provides neural protective characteristics, and when cells become insensitive to the hormone, protection is lost. Many seniors with Alzheimer’s eventually develop diabetes. Therefore, medications that treat both conditions are especially beneficial. The triple receptor formula was originally created to provide better blood sugar control. However, in lieu of recent findings, the drug also shows promise in treating Alzheimer’s. Seniors with Alzheimer’s disease can benefit from receiving professional in-home care. For many seniors in Pawleys Island, SC, live-in care is an essential component of aging in place safely and comfortably. However, it’s important for them to have caregivers they can trust and rely on. 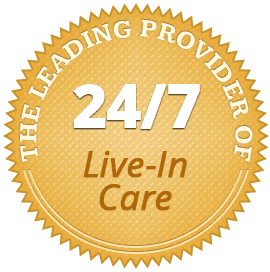 At Home Care Assistance, we extensively screen all of our live-in and 24-hour caregivers and only hire those who have experience in the senior home care industry. Our strict requirements ensure seniors can remain in the comfort of home with a reduced risk of injury or serious illness. To learn about our high-quality in-home care plans, give us a call at (843) 353-3105 today.